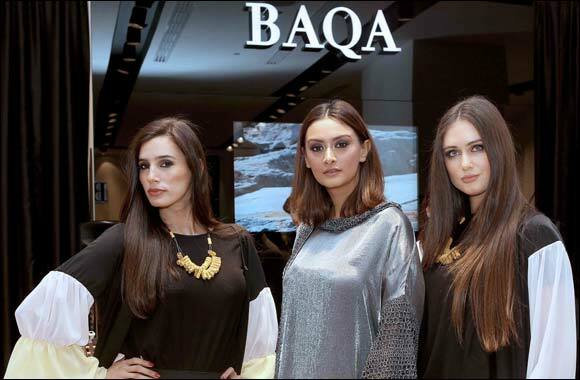 Kuwait, 23 May, 2017: Elegant, urban fashion concept BAQA has breezed on to the Kuwait fashion scene with the grand opening of its store in the Avenues Mall earlier this month. The Turkish urban couture brand flung open the doors to its first venture into Kuwait with a glittering event attended by VIPs, dignitaries, distinguished members of the media, influencers and bloggers. BAQA has partnered with local firm the Armada Group to bring its clothing line, inspired by arts, design and architecture to the fashionistas of Kuwait, with an emphasis on blending style and comfort. Attendees at the glamorous opening were given the opportunity to browse and purchase the elegant, deluxe designs created by European and Turkish designers to provide a perfect mix of luxury and functionality for women with their own values, while enjoying the entertainment and light refreshments. Visit the BAQA store at Avenues Mall, located in the second avenue, and follow @baqa_gcc on Instagram.